Peter combines extensive leadership and change management experience in the Australian and New Zealand public sectors with cutting-edge skills in data science and applied statistics. His specialty is helping organisations change and build capability to effectively manage, analyse and present data for better business decisions. With his blend of technical and management skills he has a distinctive ability to join up, translate, and disrupt the bottlenecks between the worlds of analytics, research and evaluation, information technology and business decision-making. Led development of interactive statistical web tools and mobile applications for regional economic, sector, tourism and labour data for New Zealand. Before joining Nous, Peter was an independent consultant with clients including the World Bank, Stats NZ and the New Zealand Health Promotion Agency. 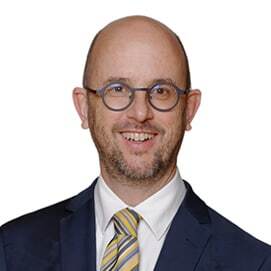 From 2011 to 2017 he led the transformation of the New Zealand Ministry of Business, Innovation and Employment’s economic analytics capability and outputs as the manager of more than 20 data scientists, statisticians and other analysts and as manager of tourism research and evaluation. Peter’s earlier career was in overseas aid. This included roles as then director of program evaluation of the Australian overseas aid program, and counsellor development cooperation at the Australian Embassy to Timor-Leste. Peter likes to walk in the mountains and is the sole author of the Free Range Statistics blog, rated the 13th best statistics blog on the web.